Centuries ago, the city of Nexus was built around a well of magical power hidden deep below the earth. Over the ages, Nexus soared to incredible wealth and power. Wandering tribes flocked to the city to worship and learn from the mysterious magicks beneath it. As Nexus grew, more and more power was drawn from the well. And as more power was drawn, the more unstable the energies of the well became. After millennia of providing Nexus with knowledge and might, the well gave the city something new. Blight. 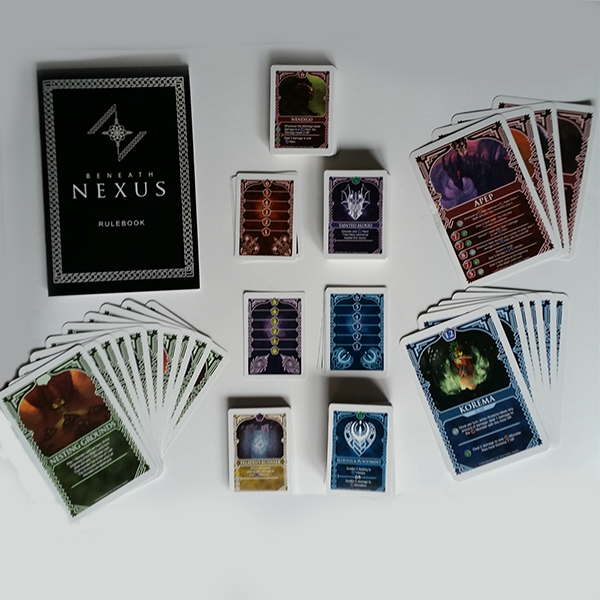 Beneath Nexus is an asymmetrical dungeon crawling card game for 3 to 6 players. One player acts as the Blight Lord, an evil overlord who corrupted the great city of Nexus centuries ago. All other players play the heroes who have come to Nexus to reclaim it from the powerful Blight Lord. 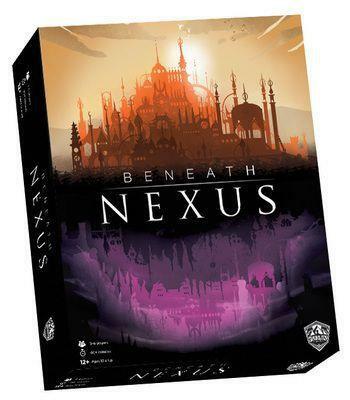 Beneath Nexus's fantasy theme was inspired by the big tabletop rpgs like D&D, Pathfinder, and Dungeonworld. Players of Magic: the Gathering, Sentinels of the Multiverse, and Lunch Money will recognize the card-based mechanics and gameplay. We at Silverclutch Games created Beneath Nexus for hobbyist gamers to introduce casual gamers and new players to fantasy adventure. Beneath Nexus can be learned within 10 minutes and is both competitive and cooperative with its one vs many format. Hobbyist gamers will find the unique heroes and Blight Lords engaging and challenging to master due to variable player powers, difficult dungeon cards, and the vast array of monsters to combat with their own unique abilities.